On February 4, 2016, over 80 influential leaders in medical media, including publishers, agencies, advertisers and other stakeholders, gathered for the AMM Viewability Congress to discuss the viewability standards set by the IAB in 2015. The congress, held by the Association of Medical Media (AMM), sought to gather testimonies of key stakeholders in order to provide viewability guidelines for their publisher membership and agency affiliations. This discussion has been long overdue, but there is still a long way to go to reach consensus. Tracking in-view time and exposure time also give media planners the ability to evaluate publisher websites on something other than the click. Most industry leaders would agree that CTR is considered a poor metric for measuring performance on banners designed to generate awareness. Mark Gleason, COO for DMD Marketing Corp, furthered this opinion by saying that user experience and quality of content are essential to our long-term success. Ad blockers are going up on a larger percentage of visitor browsers and these are going to affect both the publisher and the sponsor. Peter Chang, SVP at Lifescript, continued to talk about site visitors by stating that publishers should take ownership to work with all constituents to increase campaign performance on their property, but they have to be mindful of the user experience as well. He also said that while viewability and campaign performance are typically aligned, his data showed that there have been negative correlations in enough instances to not be considered anomalies. This begs the question about which performance measure should then be prioritized above the other. For the most part, the medical media leaders agreed that the IAB standard of 70% viewability was a good starting place, but that perhaps we should get all stakeholders together to discuss and agree on this standard. 3% Non-Human Traffic (NHT) was also acceptable to the group. Eugene Lee, EVP & Managing Director, also at CMI, read testimony that had the support of 174 client individuals, from 19 different companies representing 155 brands and whose total digital display spend is expected to approach $150 million in 2016; the testimony reiterated the 70% viewability threshold and 3% NHT. Furthermore, Jessica Raico, Group Supervisor of Multichannel Media at SSCG Media Group, urged publishers to consider if the current IAB standards are high enough, since the medical industry is way ahead of the consumer market when it comes to viewability measures. She said, “This is likely attributed to site design, quality of content and low levels of NHT. Viewability will continue to be a key metric for benchmarking campaign success and we caution the AMM from proposing strict guidelines that move backwards from the 70% threshold.” That said, SSCG realizes this is still a transitional time and stressed that they will continue working with publisher partners and the media industry to ensure optimal standards are achieved. William Veltre, VP of Media for CMI, read the anonymous testimony of a client stating that the ultimate goal should be 100% ad viewability and digital is the only medium that has yet to be able to ensure this. However, at this point in time, Veltre’s client is aligned with CMI’s approach and the 70% viewability threshold. Regardless of discrepancy and disagreements on the thresholds, almost everyone in the room pushed for transparency and partnership between publishers and advertisers. Rodney Newby, Director of Ad Operations at Elsevier summed it up for publishers by saying that there needs to be a dialogue between agencies and publishers to determine what works best for specific partners and ad placements. In her testimony for Compas, Inc., Nicole Woodland, SVP for Buying Services, pushed for supporting and educating publishers by proactively providing them with insight and information. However, she went on to say that Compas is trying to ensure that their media is being run as purchased and they are charged to seek recourse if the agreed upon thresholds are not met. She also said that client expectations have changed and they are calling for more transparency. On the subject of mobile advertising, in the anonymous client testimony, William Veltre read that we need greater transparency and collaboration with publishers for maximum viewability across the mobile platforms. Another consideration in the viewability debate was surrounding SOV and sponsorship placements. Rodney Newby asserted that viewability should not count when it comes to sponsorships. An advertiser is purchasing an exclusive association with premium content. Visitors are there to see the content and if someone sees an ad for less than one second, it may still have value. Anthony Cutrone, President of Harborside Press, further commented that we are losing sight of the story of the publication. Although he supported developing new guidelines, he commented that while viewability percentage thresholds can work in a CPM model, they do not in a SOV model. During the Q&A session, at the end of the day, there was banter regarding too many billing procedures, too many viewability vendors, and the overwhelming demand on publisher resources. Eugene Lee also chimed in that agencies are feeling the impact of the increase in the cost of doing business as a result of the new demands of advertisers in regard to viewability. It was stated multiple times that, in the end, the advertisers are going to pay for this increase in resources. According to Lori Raskin, AMM President and Corporate Director at Frontline, the AMM will use the insights from the Congress to finalize its guidance on Viewability Standards after releasing a draft for public commenting in the weeks ahead. The Congress fostered a dialogue that will surely continue as technologies and measurements evolve. 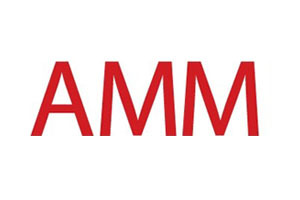 As a future step, the AMM seeks to guide its members though educational sessions that inform and educate while fostering innovation and collaboration that establishes and maintains best practices. On behalf of its core members, who include medical print and digital publishers, medical agencies and their clients, and associate members who supply services to these groups, the AMM intends to use this type of forum in the future to discuss issues and foster common ground. Get details on AMM events and others throughout 2016, both educational and networking in nature, at the AMM website at www.ammonline.org.